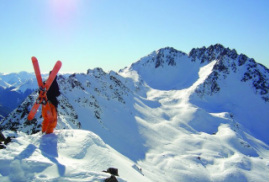 Famous for a superb balance of terrain, a sheltered aspect and the ability to capture dry powder delivered by southerly storms out of Antarctica, its no wonder that Mt Olympus is a mecca for New Zealand's big mountain, back country and freeski enthusiasts. If skiing and snowboarding some of the best lift-accessed terrain and snow conditions in New Zealand sounds like you, then check out some of the information below. Mt Olympus gets the best snow in NZ. touring and all round good times.